Combine rice wine, fish sauce, 1/4 cup oil, sugar, honey, paprika, and salt in a small saucepan. Bring to a boil and cook, stirring, until sugar is dissolved. Let cool. Meanwhile, place garlic, galangal, lemongrass bulbs, lime leaves, and turmeric in a mini food processor; pulse until finely chopped. Scrape into a large bowl, and whisk in rice wine mixture until smooth. Add beef and stir to coat. Cover with plastic and refrigerate at least 1 hour or overnight. Thread 5 beef strips lengthwise on each skewer, stretching meat flat. Preheat a grill to medium-high (about 450°F) or heat a grill pan over medium-high, and brush grate with oil. 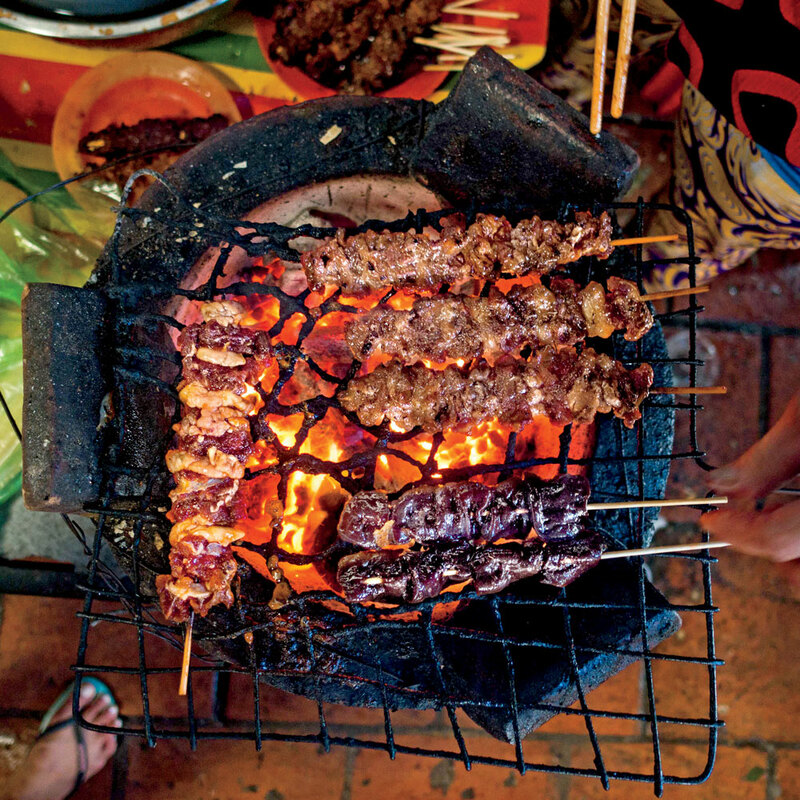 Grill skewers until meat is caramelized and cooked through, about 2 minutes and 30 seconds per side. Serve immediately.